White Swan in the Red-Light District, a photo by Mdrewe on Flickr. 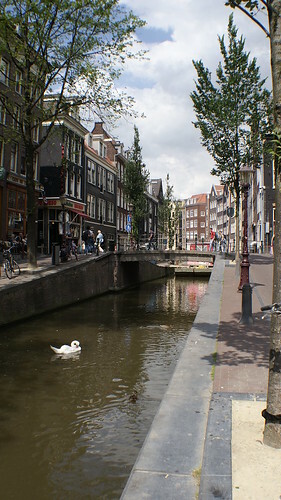 A white swan floats down the small canal that separates the streets of the Red LIght District. How quaint!